Packaging Corporation of America ("we," "us," "our," "PCA," or the "Company") is the fourth largest producer of containerboard products and the third largest producer of uncoated freesheet in the United States, based on production capacity. How much packaging stuff do you throw away every day? I owned this stock quite a while ago and I am going to revisit it in this post. Free Cash Flow is good. How much packaging material do you recycle or throw away every day? It just makes sense that online purchases will continue to grow and we all know that means more packing materials I like that kind of catalyst. Take a look at free cash flow and you can see it for yourself. 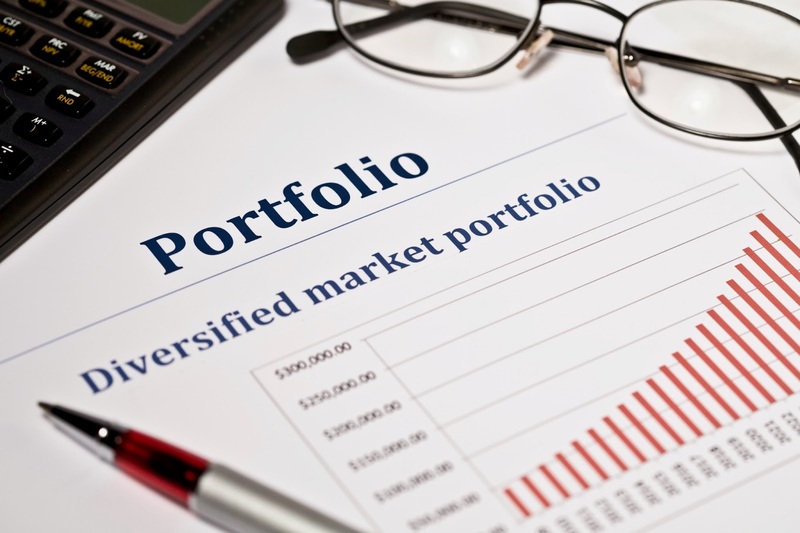 I still have to use my basic screening criteria when I am adding a new stock to a portfolio. Although I owned PKG between November 2013 and January 2015, PKG never made it into one of my model portfolios. 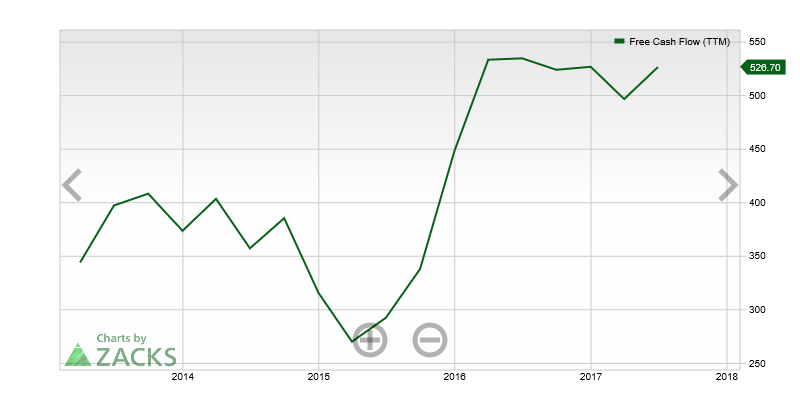 This is about to change and that is because this stock has good fundamentals. I require a solid dividend yield, earnings per share that are greater than the dividend, dividend growth, and a good balance sheet. Take a look at PKG from that perspective. In the past I required a minimal dividend yield of at least 2.75% and during some years 3.5%. This is why PKG did not make the grade in previous years. In 2018 I am writing about investments I make and have relaxed the dividend yield criteria. But I must say this 2.15% yield is a minimum. 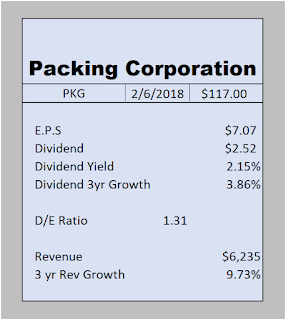 Only because of this market correction is PKG's dividend yield adequate for me. One weakness in PKG's fundamentals is a debt to equity ratio that is greater than 1. During these turbulent times, we don't want to add a stock with a dangerous balance sheet. I am less concerned about the actual amount of debt that PKG has than I am about the headwinds of rising interest rates. As interest rates rise, PKG may incur higher borrowing costs which could negatively effect their cash available for dividends. 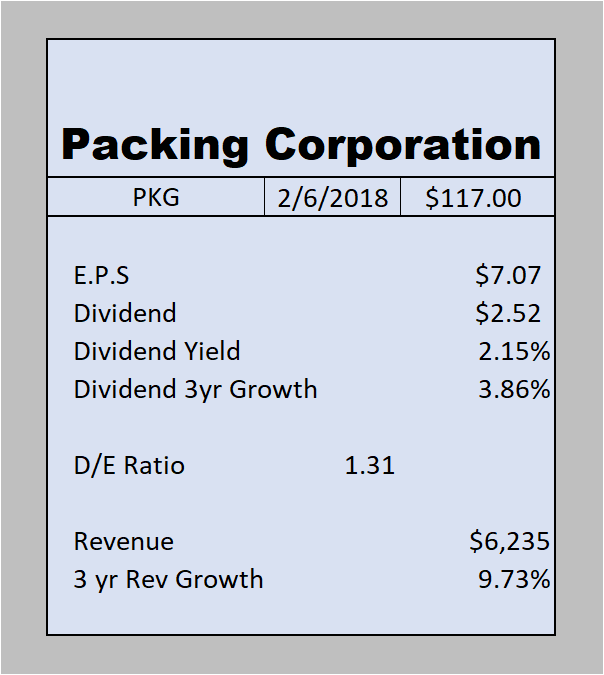 On the positive side, PKG earns over $7 per share and pays out only $2.50 of that in dividends. For a conservative income investor, I like that payout ratio. buy quality stocks over the next few weeks. One of the stocks I will go after tomorrow is PKG. I would love to get it at $115. I prefer to pay no more than $117 and would back off completely if $120 is the ask. Disclosure: No position but hope to add. I am putting in a limit order of $106 which is a dividend yield of over 2.3%. Afterhours bid is $107 and change.